Synthetic lubricants are chemically engineered from pure chemicals rather than refined from crude oil. That gives them significant advantages over refined oils. Conventional oils - the oils most people are familiar with - are refined from crude oil. Refining is a process of physically separating light oil components from heavy ones. Synthetic lubricants are pure, their molecular structure is uniform, and they are designed to work in applications in which refined oils cannot. There ability in reducing friction, heat and wear for maximum power, performance and fuel efficiency, and resistant to high temperature burn-off, chemical breakdown and sludging makes them superior to all petroleum oil keeping engines cleaner. What is the difference between synthetic and conventional oil? 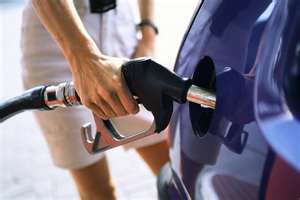 Fuel economy is becoming more important with each passing year. Gas and diesel prices keep rising, putting a major strain on businesses that rely on vehicles and heavy equipment in their daily operations. AMSOIL synthetic lubricants improve fuel economy by allowing moving parts to move more freely, using less energy and creating less friction than when conventional lubricants are used. Industry tests demonstrate an average conservative decrease in fuel consumption by two to five percent by switching to synthetic lubricants. Many AMSOIL customers report even larger gains in fuel economy. AMSOIL synthetic motor oils are specially designed to protect engine components, extending the life of the engine and reducing the need for replacing engine parts. They are also thermally stable with a strong resistance to high temperature volatility (burn-off), preventing sludge deposits and keeping engines clean. 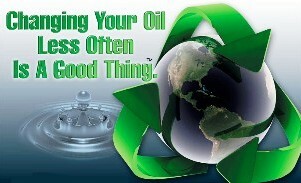 It is estimated that over 240 million gallons of oil are improperly discarded annually. Dumping 240 million gallons of oil is nearly the same as two Exxon Valdez spills each month. Just one quart of used oil can produce a two-acre oil slick. One gallon of oil can make one million gallons of water too foul to drink and 35 ppm of oil will kill fish. Going Green doesn't have to cost you a lot of money. In fact it will save you money and prolong the life of your vehicle. If the 243 million cars (excluding trucks, buses and taxis) in the United States were equipped with AMSOIL motor oil, only 3.5 billion to 16.2 billion quarts of oil would be consumed instead of 20.2 billion to 40.5 billion quarts, assuming an average service-life of 100,000 miles. Find out more about Going Green here. AMSOIL products were promoting environmental sustainability long before it became fashionable. Today, the company’s environmental management system extends well beyond its products and has been registered to the ISO 14001:2004 standard. Becoming registered to the ISO 14001:2004 standard provides assurance to AMSOIL Dealers, customers and accounts that AMSOIL takes environmental stewardship seriously and has implemented processes to ensure reduced environmental impact. Read Article. AMSOIL has been the leader in synthetic lubrication for automotive service since 1972, hence its name "The First In Synthetics®" Compared to conventional petroleum based lubricants, AMSOIL Synthetic Motor Oils yield significant increases in fuel economy. Know the Facts, AMSOIL Saves You Money! AMSOIL extended drain intervals mean fewer oil changes, long term savings and convenience. Because AMSOIL oil is the best! Extensive testing against 10 competing conventional, synthetic and synthetic blend motor oils proves AMSOIL oil outperforms all competitors and provides consumers with the following benefits: Testing details AMSOIL Synthetics provides low temperature fluidity for fast, dependable winter starts and cold start protection. They exceed the most demanding world-wide performance standards and meet or exceed all warranty requirements for all domestic and imported vehicles, both turbo-charged and & non-turbo-charged. Check AMSOIL motor oil comparison tests against 10 conventional petroleum and synthetic oil brands. It does little good worrying about whether fuel prices will go up or down. Very few people have control over the price of fuel at the pump. What you should focus on, then, are things you can control. Foremost among these are the lubricants you use in your engine and drivetrain. Fuel economy is becoming more important with each passing year. Gas and diesel prices keep rising, putting a major strain on businesses that rely on vehicles and heavy equipment in their daily operations. AMSOIL synthetic lubricants improve fuel economy by allowing moving parts to move more freely, using less energy and creating less friction than when conventional lubricants are used. Not everyone is able to downsize their vehicle every time gas prizes go up, but whether you downsize or not, you'll want to switch to AMSOIL synthetic lubricants and fuel additives for more efficient, cleaner engine operation. 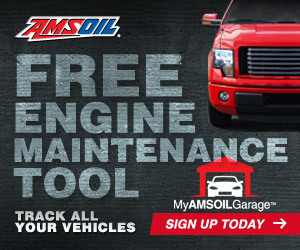 While My AMSOIL Garage still provides easy and fast product lookups for passenger car/light truck applications, it now has also become a complete vehicle and equipment maintenance software program. 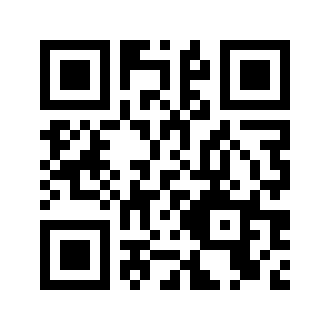 Copyright © 2006 - 2019 Fisher Resource Solutions ® LLC All rights reserved.